My yoga mat has revolutionized working out on the road. I no longer have an excuse of a dirty/cold/hard hotel floor. I just throw down my Gaiam travel yoga mat and get to work. My mat was given to me by one very generous house-guest I hosted in Lima last May. She handed over many useful and thoughtful items from her suitcase before heading back to Los Angles but the mat proves to be the most valuable of these gifts. One way the mat aids in my workouts is that I feel obliged to use it regularly if I am going to dedicate that space and weight in my impressively small backpack (we’re talking 35 liters!). With exercising, like many things in life, getting started can be the hardest part. 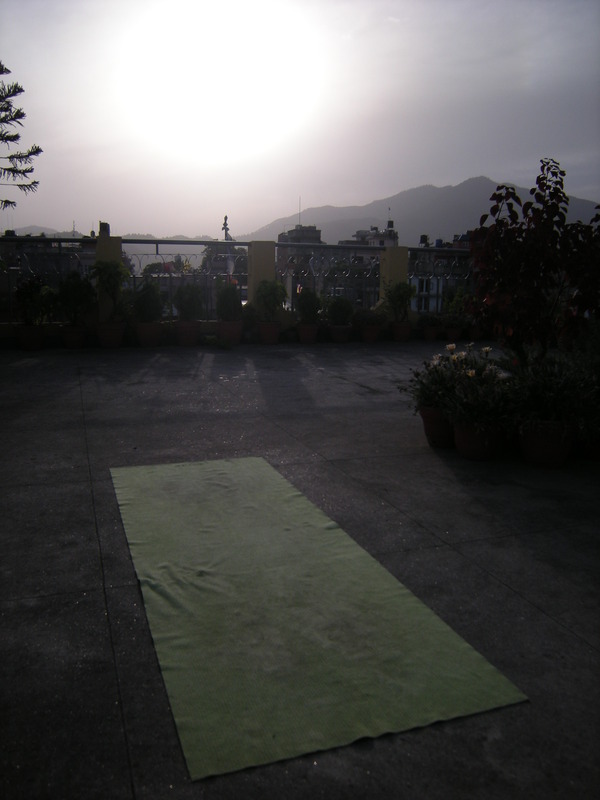 There is something about laying out my mat that helps me commit and move past any reluctance to get moving. I read an article in a fitness magazine a few months back by this incredibly busy and incredibly toned mom in which she said she always does 100 squats, lunges, push ups, and crunches every night before bed. Now that’s consistency! I was inspired. If this busy and no doubt tired mom can fit this in her day I can certainly make space for a mini routine while globe-trotting. My routine is slightly less ambitious but it is on top of my regular cardio and yoga and generally active life, just a way to get a bit more into the day. I started alternating abs and arms everyday (well, everyday certainly is the goal, he he). Although I rarely go a full 7 days in a row, I have noticed a nice increase in definition in both abs and arms and it is so quick and simple it seems silly not to do it regularly. Like any sustainable routine, my “daily” mini workout provides loads of flexibility. The arms days consist of a minimum of 50 push ups, sets ranging from 10-20 reps depending on the day. Most days I also do 3 sets of 12-15 bicep curls and triceps exercises with an exercise band. The ab workouts are anything from a quick few sets of bicycle crunches to a full 20-30 minute Pilates session.